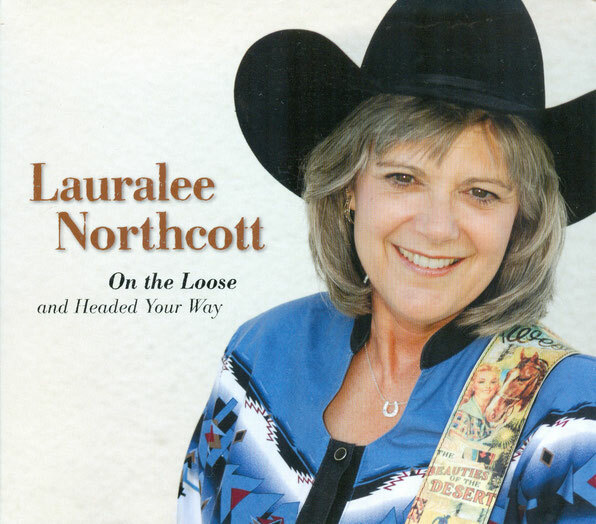 Having been a guide in the Washington State wilderness, Lauralee Northcott, former lead vocalist for the Horse Crazy Cowgirl Band, writes of what she knows in her first solo outing in a spell. With the strong focus having been on harmony and arrangements, now we get to appreciate Northcott's interpretive skills...especially true since there are breaks in the action for poetry, too (“Dutch Oven Cooking,” “Mountain Staircase” and “Little Kids & Big Horses”). A sweet cover of Richard Elloyan's “The Weaver” is a CD pick along with Northcott's “Cowgirl Way,” “Old Man's Heart,” “Molly Terry” (a fictional account of real cowgirl history). For this initial solo effort, Northcott has engaged the production and performing skills of none other than Dave and Carolyn Martin, plus Don Carr (lead guitar), Mike Sweeney (steel & dobro) and Billy Contreras (fiddle and mandolin), so naturally there's a good deal of swing in the mix (“Old Shoe,” “I Don't Know Where We're Goin' But We're Makin' Record Time,” “On The Loose And Headed Your Way” and others. Nice one! Fourteen tracks.